Our vehicle is equipped with several lights. All the lights serve their own specific function. However, responsibility of protecting the vehicle and its passengers fall with these lights. Apart from this, they add grace to the vehicle thereby enhancing its beauty. One such light is tail light. Some of us are acquainted with it as tail lamps, stop lamps, and rear lamps. It needs to be installed at the rear end of the vehicle. It automatically gets switched on when the driver stepped on the brakes. This way the driver renders a warning to the vehicles running back. If you are sick of your current tail lights/lamps, you may have a set of used tail lights/lamps. Being cost effective, they are easily available at pocket friendly prices. Lens and frame comprises an important part of the tail lights/lamps. Therefore, you are required to check them prior to purchasing the used tail lights/lamps. Make sure they are scratch free. Your selected used tail lights/lamps should promise you of a wide beam angle. As for heir installation, you will require to take help of the mechanic. Consider their being weather resistance and efficiency to stand with the minor collisions. Taillights covers are also available in the market that guarantees protection of your vehicle’s taillights. They too are affordable. Generally, several taillights are there in use that differentiates each other on basis of their stuff. Most auto enthusiasts prefer chrome plated tail lights/lamps over the one craft out of carbon fiber because of their surplus shine. 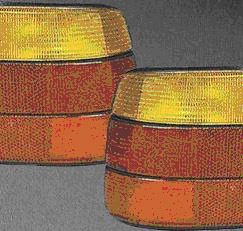 As such, you will come across to a wide range of designs and colors while shopping for the used tail lights/lamps. Get a set with glass that gives monochromatic effect. It too comes in different shades. Moreover, they make an ideal choice for safety of the driver and the passengers as well. In case you are extensively looking for the style, you may go with the used tail lights/lamps that are offered with a wire covering fixed over the lenses. This provides them extra sturdiness and a tough look. Never compromise on the quality. Used tail lights/lamps with a clear bulb are always recommended for all the vehicles. They utilize red taillight bulb. If you are acquiring a sports utility vehicle and want to have used tail lights/lamps to match with its look, buy the one with smoked lens over red bulbs. You may use amber bulbs in place of the red ones. Do not deprive your car of this must to have equipment. Therefore, order it now. Locate Used Tail Light Here! The world isn't the same as it was fifty years ago. We're on the brink of a global disaster with warming and pollution. At Automotix, we take these things into consideration and have delivered cost-effective, eco-friendly options for the many consumers out there. Automotix does its part to help the environment by recycling used parts and keeping junk scraps - rubber, metal, and plastic - out of the environment. The United States is one of the largest producers of non-degradable scraps. As citizens, we it to ourselves to do our part to reverse this trend - by purchasing used parts from Automotix, you're not only saving money, you're helping to heal the environment.